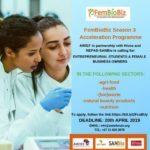 AWIEF in partnership with Hivos and NEPAD-SANBio, is implementing FemBioBiz Season 3 Accelerator Programme, in South Africa. The call for application for entrepreneurial students and female business owners to participate in the FemBioBiz 2019 is open until 20 April 2019. Participants will gain national and regional exposure and participate in international networking and pitching events for active matchmaking to investors and financial institutions, and stand a chance to win amazing prizes. 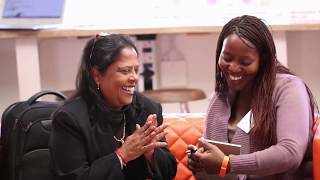 The programme has been created to develop leadership, technological and business skills in female-owned bioscience businesses in the SADC region. These skills will support deal-making and business acceleration in the sector. It creates a platform for peer learning and will empower women to lead in health and nutrition through science and technology. The programme is targeting both female business owners who already run a company as well as entrepreneurial tertiary students with exciting business-ideas in agri-food, health, (bio) waste, natural cosmetics and nutrition sectors. Innovation stands in high regard and both formal and informal businesses are encouraged to apply.